Precision Industries generating sets are designed and manufactured in our facilities which certified to ISO 9001:2008 standards with a fully integrated power generation system providing optimum performance, reliability for Prime and Standby applications. 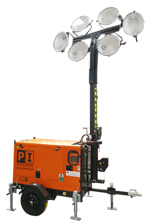 PI Tower Light is Designed for working in ruler Area with High withstand capacity of Tower Light Mast and can provide illumination to the far area required for construction work. 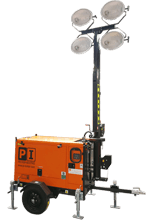 PI Tower Light is available with an easy towable design.